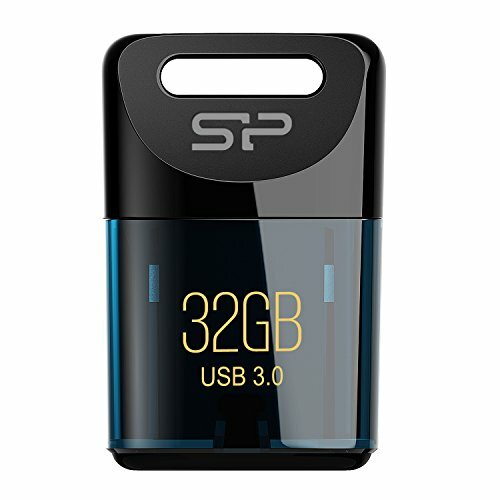 Silicon Power 32GB USB 3.0 J06 Jewel Flash Drive, Deep Blue (SP032GBUF3J06V1DAU) by Silicon Power at Pacs BG. MPN: SP032GBUF3J06V1DAU. Hurry! Limited time offer. Offer valid only while supplies last. Jewel J06 is small, light and comes in a variety of capacities from 4GB to 64GB. It's only 2.4cm (0.9 inches) in length and 3.6g (0.1 oz.) in weight. Jewel J06 is small, light and comes in a variety of capacities from 4GB to 64GB. It's only 2.4cm (0.9 inches) in length and 3.6g (0.1 oz.) in weight. This small-sized design allows you to put your laptop into a handbag without having to retract the USB flash drive, which upgrades your storage data mobility! Jewel J06 utilizes the advanced Chip on Board (COB) packaging technology, making it waterproof, shockproof and dust proof. Jewel J06 comes with a lifetime warranty that guarantees complete services and technical support. Mobility- Tiny and portable for your laptop or car audio player. Durability - Water, Dust, Shock Resistant. USB3.0 and backwards compatibility with USB2.0.